Discover the many facets of a holiday at the North Sea. More than ten kilometers of white sandy beaches and green embankments offer plenty of space for idyllic relaxation in a beach basket, sunbathing or leisurely strolls. The beach with its gentle slope guarantees safe swimming in clean sea water – ideal for children, who can furthermore enjoy playing, digging or building sand castles. Sandy dunes, lush pastures, blooming heath, forest and pristine marshland make for great hikes and bike tours. Daytrips to Helgoland by boat or catamaran or to the pirate island of Neuwerk by Wadden Wagon will create memorable experiences. The healthy North Sea climate and the fresh air guarantee pure recreation and relaxation, whether you spend your holiday with leisure or sporty activities. 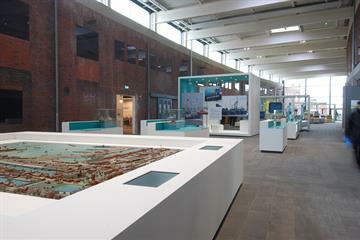 If you are curious about Cuxhaven and the history of seafaring, there is no way around the museum "Windstärke 10". Set Your Sights for the Island! 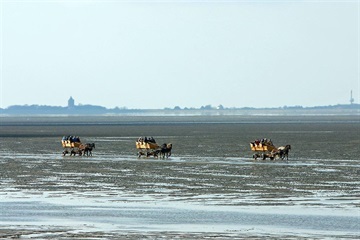 Head to the island of Neuwerk on foot or by Wadden Wagon or visit Helgoland by boat. 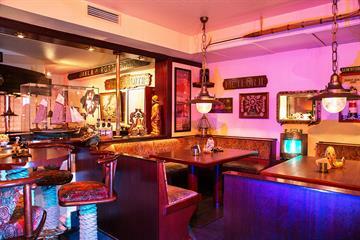 Select a snack from our small dinner menu or visit one of the many restaurants waiting for you in Duhnen and Cuxhaven. 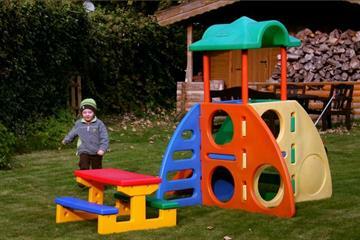 Playground or beach? We have a lot in store for the little ones! 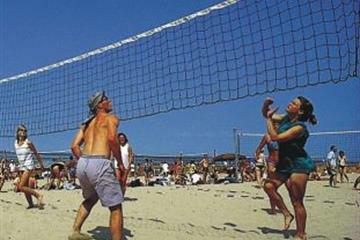 Cycling, running or beach volleyball, many choices await the active vacationer.